UFC 144 Edgar vs Henderson Fight Pick | MMA Fighting Events Videos Techniques UFC Fight Picks and News. 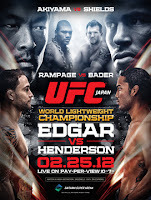 On Saturday, the UFC (Ultimate Fighting Championship) takes the major leagues of MMA (Mixed Martial Arts) to Japan for UFC 144. Headlining UFC 144 will be a main event match up between lightweight champion Frankie Edgar and explosive challenger Ben Henderson. Let's take a closer look at this fight and then I'll make my fight pick. Frankie Edgar rolls into UFC 144 on a six fight winning streak with a draw to Gray Maynard mixed in. Edgar's only loss was back in 2008 also to Maynard at UFC Fight Night 13. Edgar finally avenged that decision loss in his last outing at UFC 136 by taking out Maynard in the fourth round via KO. Frankie Edgar also has two wins versus MMA legend BJ Penn, and has wins over some of the who's who in the UFC light weight division, Hermes Franca, Sean Sherk, Spencer Fisher and Tyson Griffin. Ben Henderson made his UFC debut at UFC 129 after being a force in the WEC (World Extreme Cagefighting). He's won all of this three fights in the UFC and has an overall record of 15-2. Henderson has great stand up with a deep arsenal of chingasos, but he's really risen through the MMA ranks with eight submission victories. He has four wins via guillotine submission, two rear naked choke submissions (RNC), and an anaconda choke on his MMA resume. While Henderson has fight finishing ability, his last four fights have gone to the judges. Edgar has also lacked finishing ability with six of his last eight going the distance and 9 of his 15 fights being left to the judges. Look for Edgar vs. Henderson to go the distance. While Edgar is a slight favorite, I'm going to pick Henderson for the win. Henderson is faster than BJ Penn, so he'll be able to keep up with Edgar unlike Penn was able to. Also, Henderson has a better striking arsenal than both BJ Penn and Gray Maynard, so look for Henderson to land more chingasos than those fighters were able to. Ben Henderson via judges decision is my official UFC 144 fight pick! Agree? Disagree? 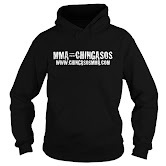 Feel free to comment with your thoughts on the main event at UFC 144.